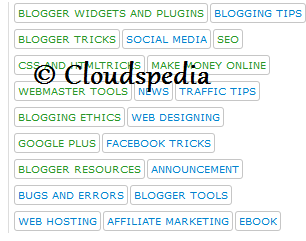 If you come back to the years between 2008-2010 in which the Blogger was updating time to time and this was the best time to create or customize widgets and plugins and at that time Google updated the Blogger blogs speed and the widgets became as fast as light and then they updated the labels to clouds and then cloud labels widget was customized. 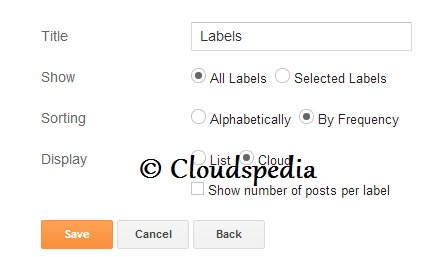 Today I will tell you how to add that customized cloud labels. 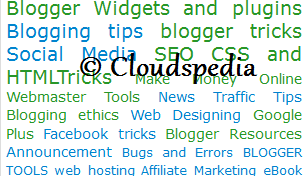 I recommend you to add it because it is with an hover effect which attract people to your blog/site. Make your blog beautiful , colorful, attractive. How Will It Work ?? Each Label name will be in a rectangular box .In default labels there are different sizes of fonts in labels. But in the customized they are all equal and looks great . And Save It ! ! ! Save Your Template And You are Done ! ! ! ! !.